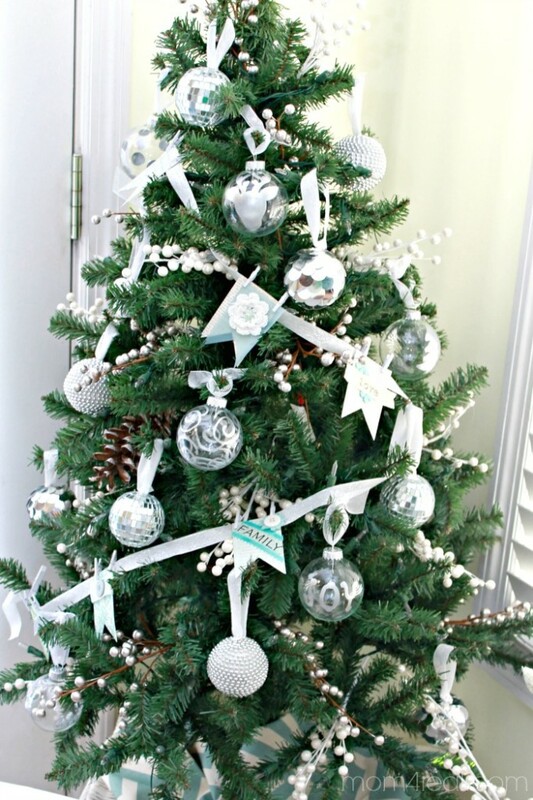 I am ridiculously obsessed with silver and white this year! There is just something about that color combination that makes me think of snow, and I haven’t seen snow for so long. I created my own Winter Wonderland in our breakfast nook to tide me over until it’s time to bring out the rest of our Christmas decorations for the entire home. 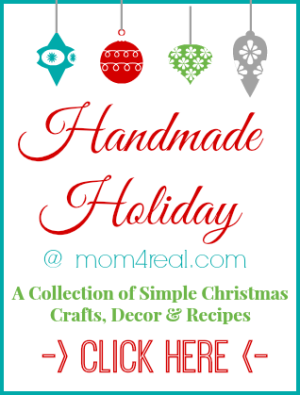 I really wanted to make everything myself this year, and have…with the exception of just a few items. 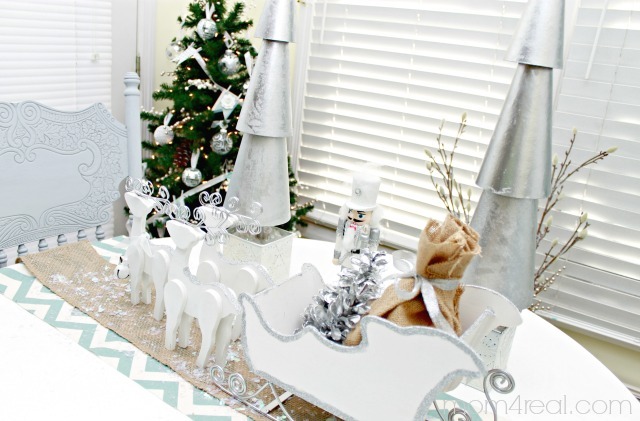 Anyhoo…today I want to share 4 silver and white decor ideas for Christmas! I am sharing the tutorial for these over at Tatertots and Jello today, so click over there to see all of the details. I’m telling you, this was such a fun and simple project, you will not believe the before! 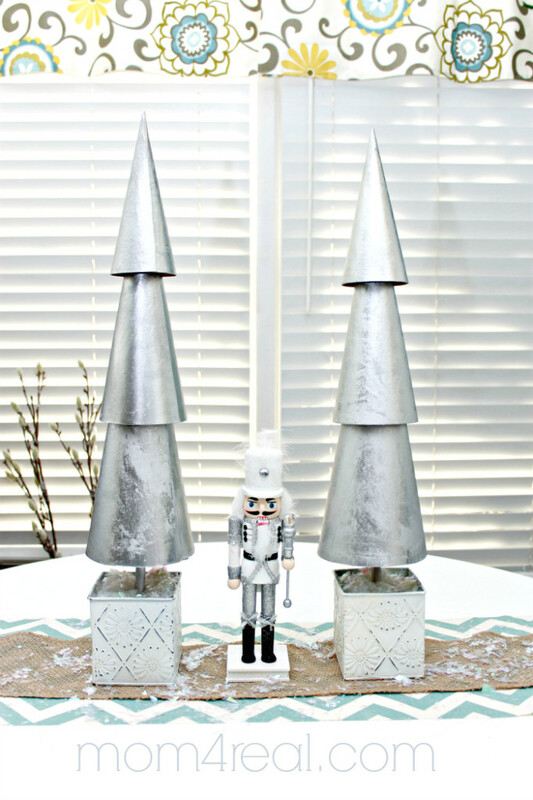 I used paper mache’ cones to make these whimsical trees…you can see them—> HERE! 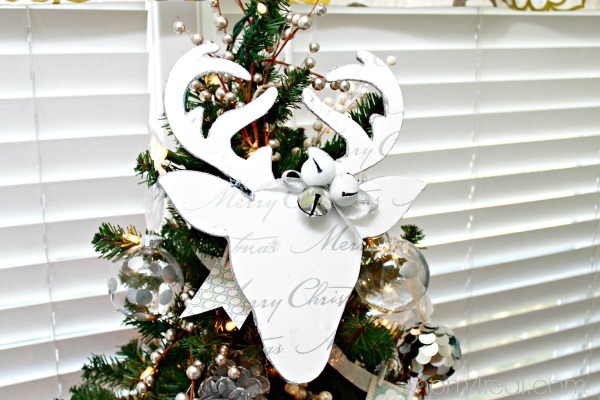 I’m sharing this tutorial on The Crafting Chicks today, so pop over and see how simple it was to turn a plain old $1 wooden cutout into a fabulous addition to your tree or decor! 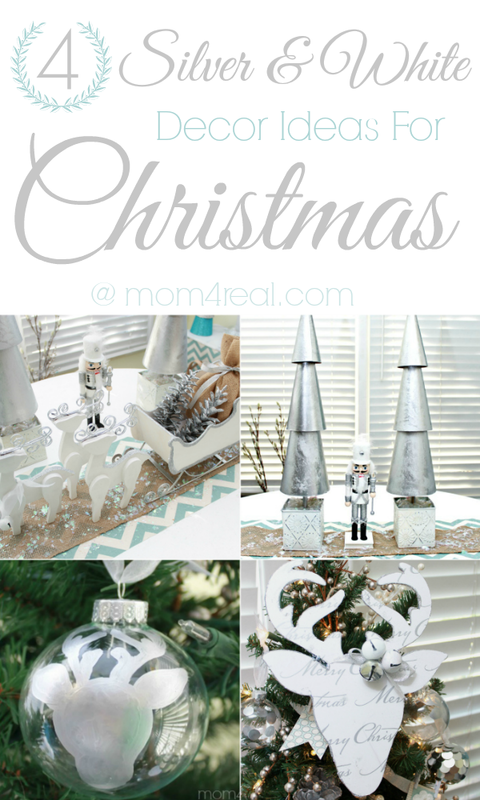 These ornaments are the easiest to make, ever! You only need 3 items to make them, and they literally only take 2 minutes each! 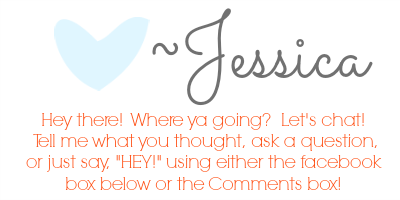 Click HERE to see what I used to make them! I hope you will visit me at Tatertots and Jello and The Crafting Chicks and help me spread a little silver and white Holiday Cheer! Love all of it! The trees especially!! What a beautiful job! I LOVE the reindeer & sleigh!! I’m hope that I can find the items to make my own.